A short cascade into a head-high free fall which ends in a crevice, followed by a short slide/cascade toward the bottom. 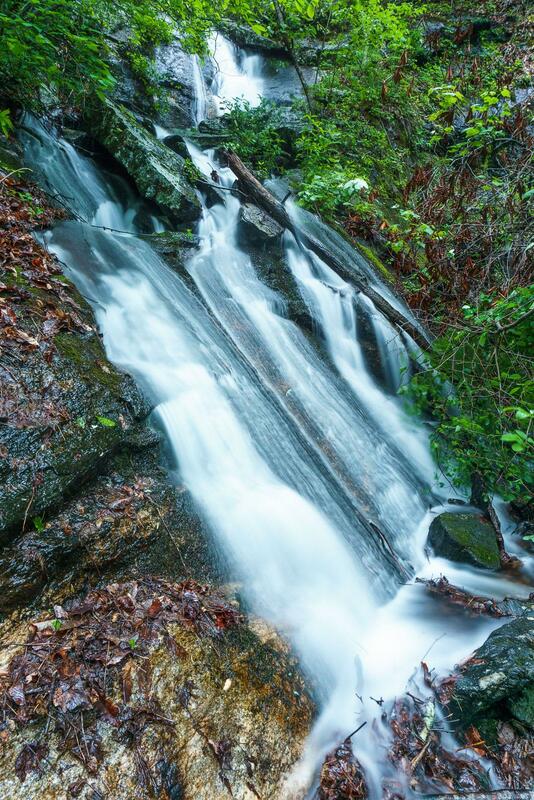 This waterfall will look best after plenty of rains, but even then it's not the most attractive. A huge tree has fallen across the stream and trail from the bank beside the falls as of May 2017. This makes it an absolute pain in the rear to go up the last few yards of the path to the falls. When combined with the overgrown logged areas, it's probably not worth it. On the plus side, if there is one, the upturned root ball of the fallen tree makes a nice elevated spot from which to view the falls if you make it up there. 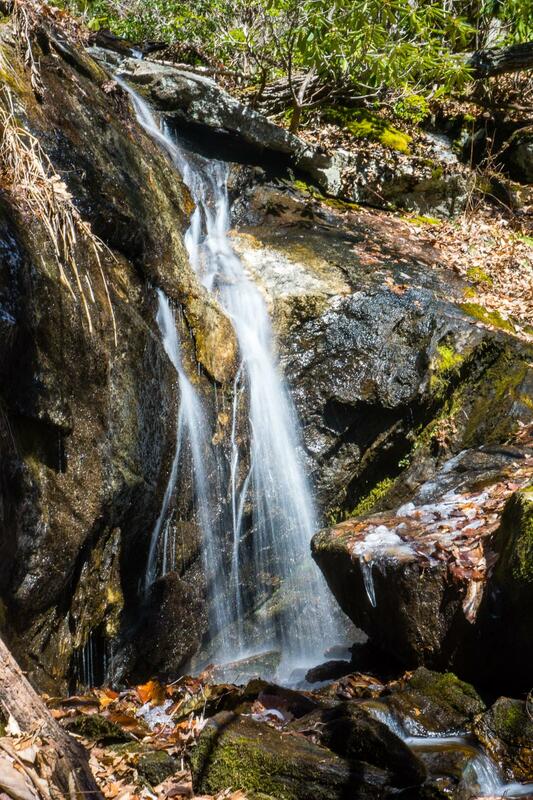 The waterfall is located in the Shope Creek section of Pisgah National Forest. From the main parking area, take the old skid road trail at the back of the lot leading uphill along Wolf Branch. This logging path passes through two main logged areas. Stay left at the junction past the first logged area; the trail becomes more faint beyond it (and terribly overgrown with briers as of May 2017). At the top of the second logged area, a faint path continues steeply upstream along Wolf Branch. The falls is about 5 minutes up this (sometimes steep) path. Use caution; the path climbs up some fairly steep rocky bluffs before coming out at the base of the falls.